At MODE Fire + Security, we aim to provide our customers with a one-stop-solution for all their security needs. To achieve this objective, we not only help you with the design and installation of a bespoke security system, but also ensure its optimal performance with our maintenance services. While investment in a superior-quality security solution is the first step towards protecting your property from various security risks, its ongoing maintenance and service is of utmost importance to ensure complete security of your valuables. At MODE Fire + Security, we have a team of expert professionals who work diligently to respond to your service calls and troubleshoot any performance issues that may put your safety and security in danger. Offering maintenance services to businesses and households in the UK and Europe, our experts have the skills, experience, and resources required to inspect and repair security solutions of any brand. From fire and intruder alarms to CCTV surveillance systems and automated gates, the security system of a business or home comprises of a number of components. Optimal performance of each of these components is integral to the security of your premises. At MODE Fire + Security, we provide planned and emergency maintenance services for a wide range of security products. The purpose of planned maintenance inspections is to prolong the life of your security investment by identifying any repair issue at an early stage. We are available on phone, as well as in-person to detect and resolve any performance issues that you might be facing. 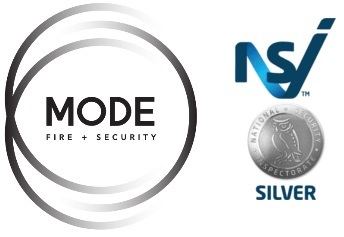 At MODE Fire + Security, we not only provide inspection and maintenance services for the security solutions installed by our experts, but also help our customers save time and money by servicing security systems installed by other companies. Our team of competent and skilled professionals can takeover, repair, and upgrade any make or model of fire alarms, CCTV systems, intruder alarms, and other security solutions installed by another provider.